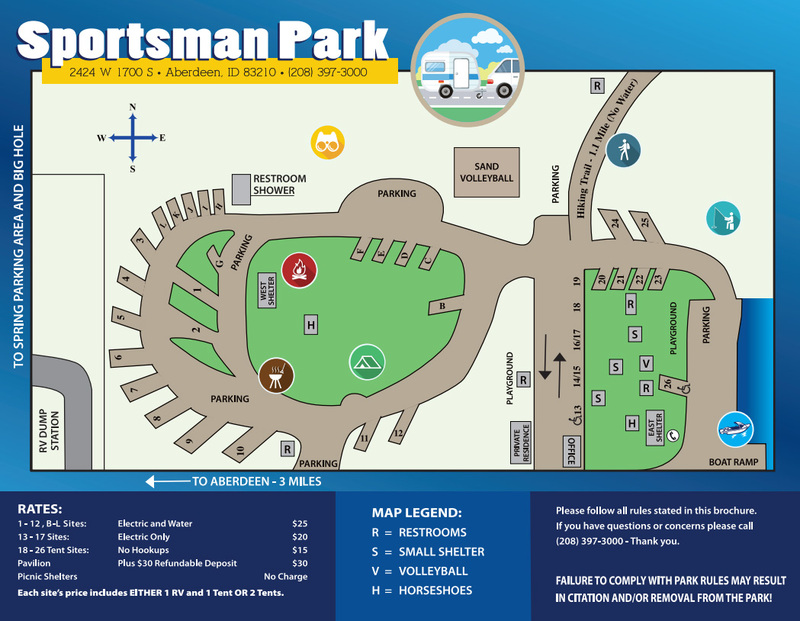 Sportsman's Park -- This beautiful 30-acre park is a multi-use area with facilities and activities for a variety of recreational uses. 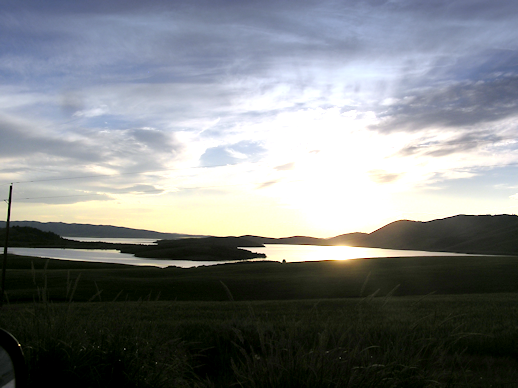 Situated adjacent to the American Falls Reservoir, it provides primary access to the lake for boaters and fishermen with two boat ramps. This park is a popular spot for ice fishermen in the winter. It is also a popular duck and goose hunting area. (Hunting is not allowed inside of the park) There are two large group shelters and eight smaller picnic shelters. There are two playgrounds, three restrooms, horseshoe pits and volleyball courts. 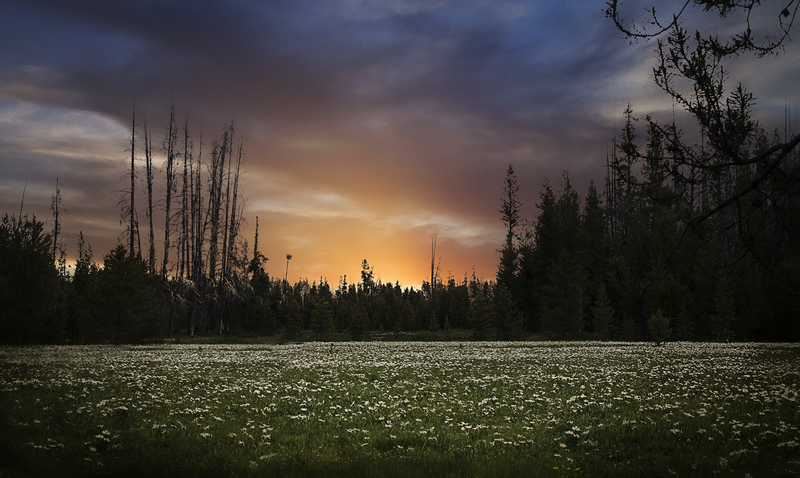 Available are 23 sites with electric and water, 5 sites with electric only and 8 tent sites. There is also an RV dump station available. There is a paved hiking/bicycle trail along the rim of the reservoir. The trailhead is at the park and is 1.1 miles long. Special features are two observation platforms with a pavilion and benches for users to observe the waterfowl.